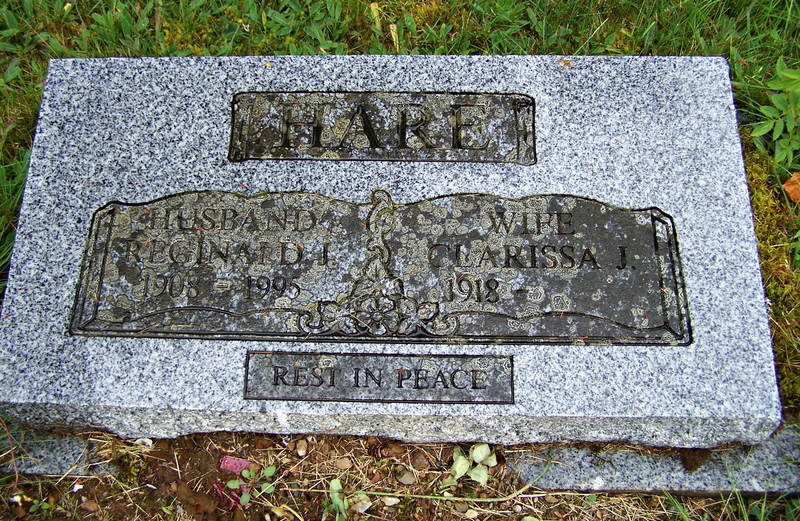 Today I added three headstone photographs to the page of St. Mary’s Anglican Church Cemetery, Shiers Road, Harrigan Cove, Halifax County, NS. They are for a married couple and their two sons. According to Clarissa Johanna MacDonald’s obituary, she was born March 10, 1918 at Harrigan Cove, Halifax County, NS, the daughter of Margaret ‘Maggie’ Catherine Rumley and Henry Ephriam MacDonald. She married Reginald John Hare, and they had the following children: John, Donald, Michael, Lillian, David and Kathleen. Clarissa died April 23, 2009 in the Birches Nursing Home, Musquodoboit Harbour, Halifax County, NS. 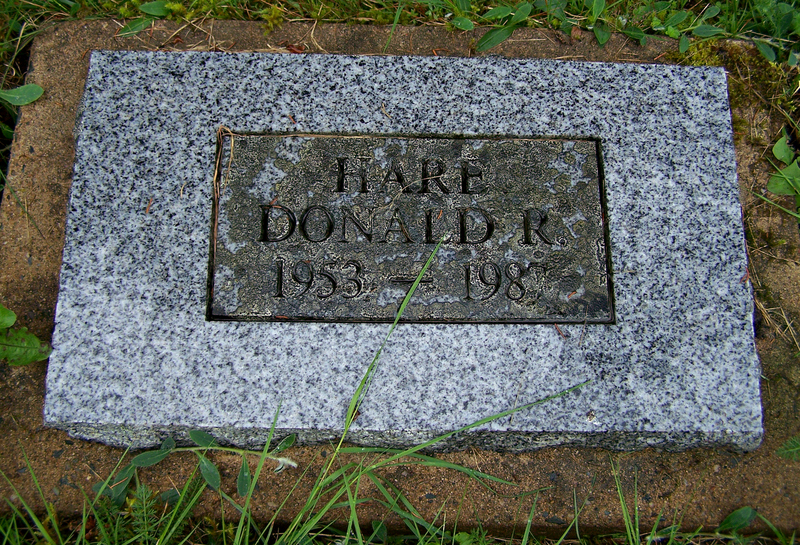 According to Reginald John Hare’s obituary, he was born March 15, 1908 at Sydney Mines, Cape Breton County, NS, the son of Hannah Hare and John Hare. 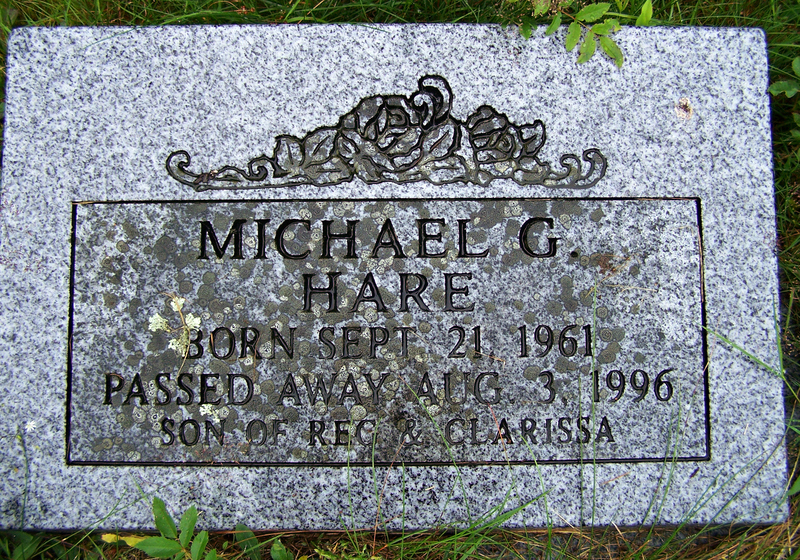 He died April 11, 1995 in Eastern Shore Memorial Hospital, Sheet Harbour, Halifax County, NS. Atkins, Edith Rita: Born August 27, 1906 at Harrigan Cove, Halifax County, NS, the daughter of Emma Hape and Fred Atkins.